Safer Internet Day 2017: European Commission welcomes alliance of industry and NGOs for a better internet for minors. eNACSO is member of the Alliance. SAVE THE DATE! 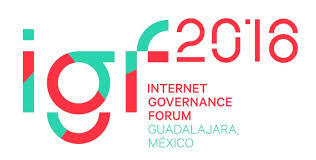 eNACSO Pre-Event @IGF 2016 on December 5th, 2016 from 15:00 to 16:30 at the Workshop Room 7 PALCCO in Guadalajara, Mexico. eNACSO has produced four educational videos to help parents, caretakers, professionals and other stakeholders to learn more about the Internet.